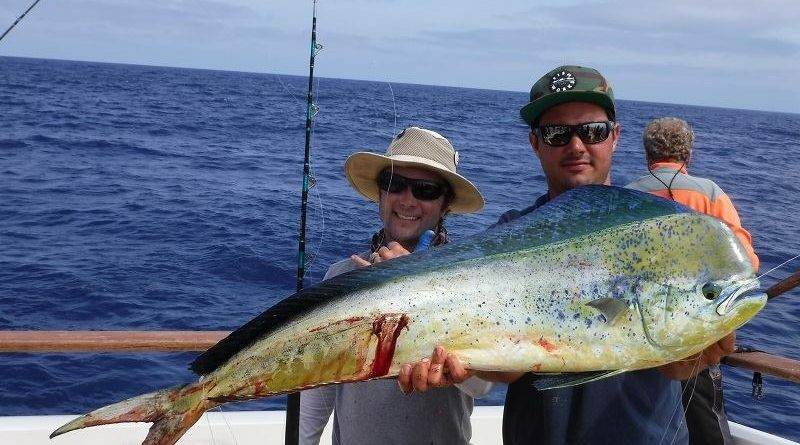 As July began to melt into August the anglers aboard Intrepid Sportfishing reeled in some pretty hefty catches, such as this mahi mahi (and it wasn’t even the only mahi mahi reeled in aboard Intreprid). Other Intrepid anglers reeled in bluefin, yellowfin and a large grouper during the final fishing week of July 2016. 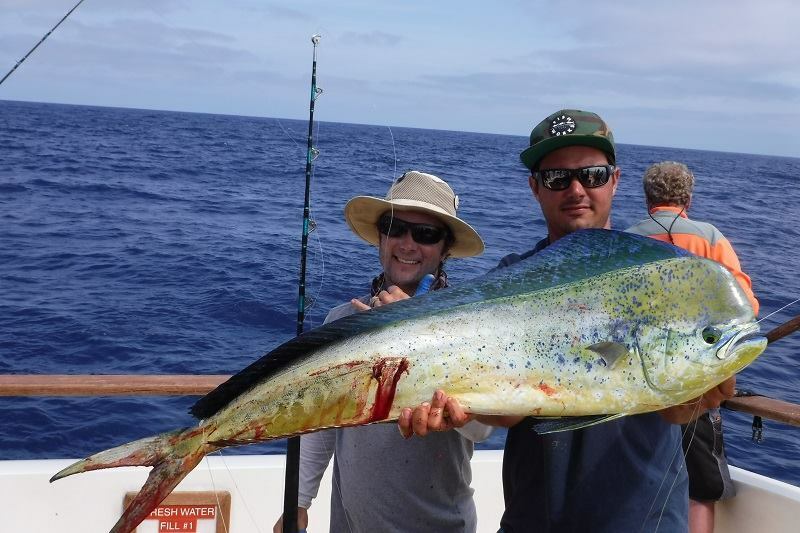 “We enjoyed a fun day hitting kelps with nice sized yellows and a couple of dorados,” Capt. Kevin Osborne wrote in his July 28 fishing report. Obsorne also reported yellowfin, seabass, dorado, striped marlin and limits of yellowtail in his three other fishing reports during multi-day fishing trip in late July.